Whenever I’m not travelling I’m dreaming of travel, saving for travel and keeping fit for my next travel adventure. I don’t call myself a travel nut for nothing! I’ve got a boring routine in place to keep me on track with the challenges of being self-employed, having a family and staying healthy as I age. But since all the places I want to go to next revolve around outdoor adventure and hiking staying fit is especially important. At the moment I can’t afford to jet off anywhere but I want to be fit and ready so if any travel opportunities come my way I can get the most out of them. When it comes to personal health I’ve got exercise covered in my daily routine so my fitness levels are reasonable, but I’m always looking for ways to improve my nutrition. After vaguely trying to quit for good I’ve discovered that I will never give up sugar, bread or junk food. I don’t eat much of any of those things but I find that if I ban anything from my diet it only makes me want it more. That feeling of deprivation is not good and I love my daily dose of dark chocolate so I’ve given myself permission to eat a little of the naughty stuff given that I’m good about 95% of the time. I think that’s a reasonable balance. But despite clinging to some unhealthy treats healthy change has still happened. Here are the three main changes I’ve made this year to improve my health through improving my nutrition. Instead of buying low fat milk and yoghurt I now buy the full fat versions. That was one of the main takeaways from my research on the paleo lifestyle and diet last year plus reading all those paleo books. You commonly read that low fat products are heavy in sugar and higher in calories which is a great reason to switch to full fat, but that wasn’t the case with my milk and plain yoghurt. They had no added sugar at all. But I learnt that we need fat to digest protein and that fat also makes us feel full for longer which was why I made the change from low fat to full fat milk and yogurt. It’s been a year now and I haven’t gained weight so that was an interesting lesson. I boost my protein intake with protein supplements and the aim is to keep me feeling full and build, not lose, precious muscle. We do lose muscle as we age so it’s important to hang onto every ounce of muscle we have and including plenty of protein in our diets makes building new muscle easier. There are many types of protein powders available but I use Great Lakes gelatin powder as a protein supplement. As a former vegetarian and someone who never eats beef it’s ironic that this is the protein powder I chose since it’s made from beef but I chose it for a few reasons. Tasteless so you can add it to anything and no one will be any the wiser. But beware that because it’s gelatin it will make things set if you leave it for a while. This can be useful for fruit puddings but not so good for cold soups. I use the gelatin as a protein supplement by adding a spoonful to my daily morning smoothies. They are usually a blended combination of banana, papaya, milk, plain greek yogurt, nuts and chia seeds. I love papaya but I mix things up by varying the fruit content from time to time. You could add it to just about anything you’re cooking though, either savory or sweet. You can buy Great Lakes gelatin on Amazon here or, if you’re in Australia, the cheapest place I’ve found to get it is Optimoz. That’s a terrible name for a health food store but has great products for the right price. After my brush with depression last year which set me off on the 52 Exercises Quest I went to the doctor to see if there could be physical rather than psychological reasons I was feeling blah. I was hoping that menopause or hormones might be to blame but the only thing medically wrong with me was extremely low iron levels. That may not seem that serious but low iron makes you feel tired and feeling tired can make you feel low so I’ve been taking iron pills ever since. As far as I know I’ve been low in iron my whole life, probably because I barely eat meat so I took high dose Ferro Grad C tablets for six months to get my iron levels back up within the normal range and am now using Suisse iron pills because they’re easy to pick up in the supermarket. Both those options have vitamin C in because that makes iron easier to absorb and both are only suitable if you’re really low in iron. Your iron levels can be tested with a blood test through your GP and are commonly low in women who are menstruating and for vegetarians. That’s it! How about you? Have you made any changes recently to promote healthy ageing? What are you doing to stay healthy as you age so you’re still able to enjoy all those travel adventures? Love your idea of reverting to full fat milk and yoghurt etc. I’d love to try but wonder if it would affect my cholesterol levels. Thanks for the heads-up on useful vitamins and supplements too, I think the idea of having protein is a good idea – I rarely eat enough. Well I’m no doctor but isn’t it just red meat and very high saturated fat content foods that send cholesterol shooting up? I guess it depends how much milk and yoghurt you eat but it’s probably not enough to cause cholesterol problems. Cholesterol can be elevated because of many reasons. Nowadays often because of eating too many carbohydrates and sugar. Stress and Lifestyle can also influence cholesterol levels. E.g. Stress increased –> cortisol levels increased –> causes inflammations –> cholesterol produced by body to fix the inflammation and repair the damage………This is just one of the different scenarios and why cholesterol can be elevated. Also to remember the body produces cholesterol and is very clever to adapt accordingly to your cholesterol intake through diet. If it doesn’t come from the diet, the body produces it itself and if there is cholesterol eaten, then the body produces less cholesterol. Love that you’ve taken control over your whole being. I’ve discovered, over the 200 years I’ve been alive (seems like it some days), everything in moderation is my mantra. I agree completely about whole fat vs. low fat. You should never exclude an entire food group, like carbs, either. I have never succeeded in trying to ‘diet’, because when something is forbidden it’s the only thing I crave. Silly, but true! As for fitness…fixing up and selling 2 houses to move into one, and then renovating the new (to us) one has kept me very busy! I may just hibernate this winter. Balance is what I am trying to achieve. Over the years I have subscribed to the ‘all or nothing camp.’ I read this great series over at Monica/Gromon; her post AND yours serve to remind me that health is the end goal and depravation leads to nowhere good. I take iron tablets, have full fat but now will try the protein in my daily smoothies. I also try for three weekly yoga classes on top of other exercise, love that my flexibility is getting better! Hello Annabel, I’ve got some protein and keep forgetting to take it. I read on Planning With Kids a recipe for a smoothie with raw eggs for protein and may give that a go too. Swimming starts this week, a pool session and an ocean session each week – hooray. I went today and on Sat to swim at 7am in manly with the Bold and the Beautiful group and cannot quite believe how bloody marvellous it makes me feel mentally as well as physically. So glad summer is nearly here and you can get back into you fave activity! You’re impressive with your swimming and I want to try that recipe too! Yes! I have gained 11 kilos in 12 months – so I have started a food diary to see where those calories are coming rom (I can see where they have gone). We also take Omega 3 EFAs now for cellular health. I put the family on a healthy eating program but I have been quite worried this year which results in me snacking to feel better – so stopped that, visiting a dietitian because the total weight loss required is way more than 11 kilos and I need assistance to keep me on track. Plus I just had my FREE 45 year old women’s health workup at my local doctor. I am happy to tell you that dark chocolate is a longevity food – according to David Wolfe. And the sugar content is low with the 72% bars. I have managed to shake the addiction to sugar and it was more difficult than quitting cigarettes and alcohol. After about ten years I find I can have a little wine and chocolate, but pastries would just send me down that rocky road again. I believe that if you can fill up on fruits and vegetables then the naughty things are not going to hurt you much. I am 66 and doing well, so do not obsess like I once did. 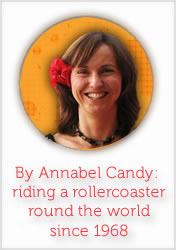 That beef gelatin is a great tip, Annabel! I’ve taken to making bone broth from scratch for the collagen, muscle and bone-building aspects. But some weeks I just don’t have the time. I find your last question quite poignant. My parents retired with plenty of money to travel, and lived their dream life for about 5 years. But they never took care of themselves and their bodies started breaking down. Once they reached their early 70s, they couldn’t travel anymore. I’ve promised not to let that happen.